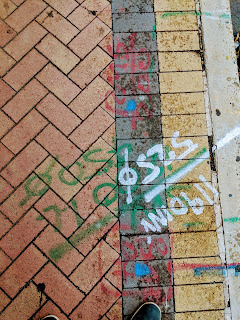 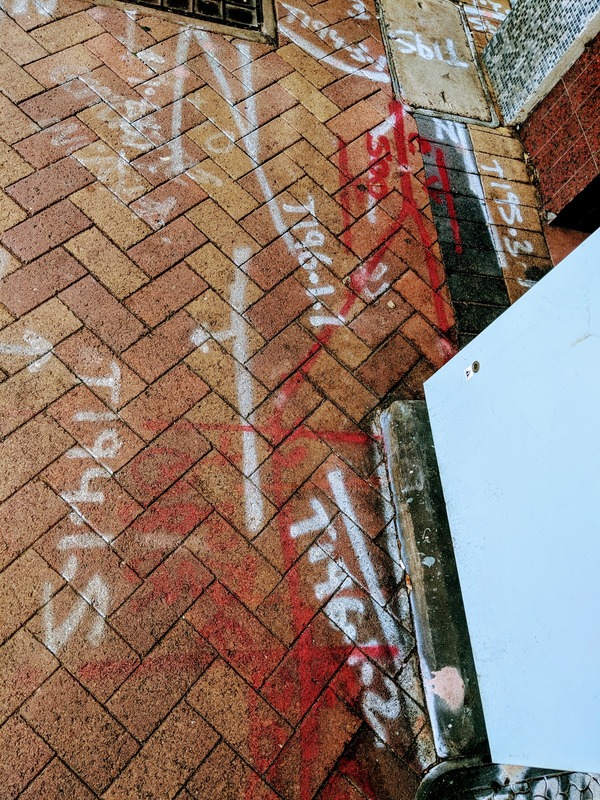 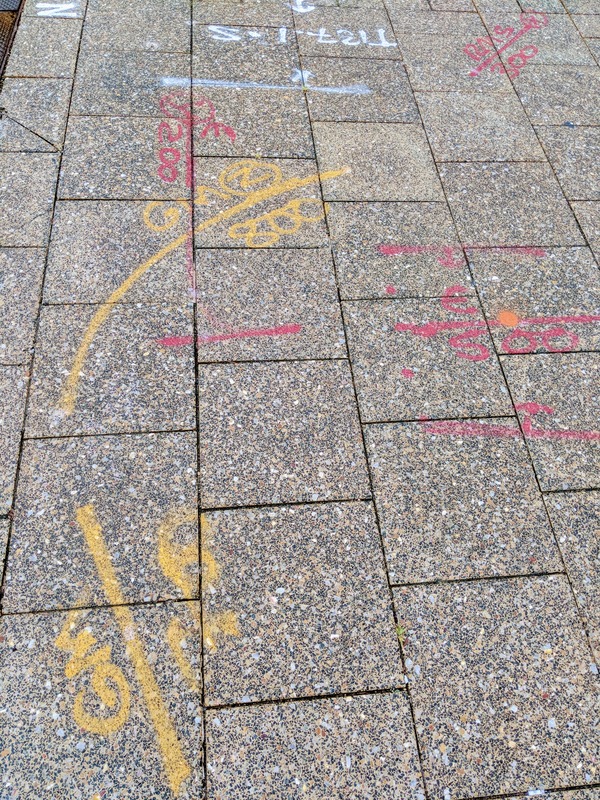 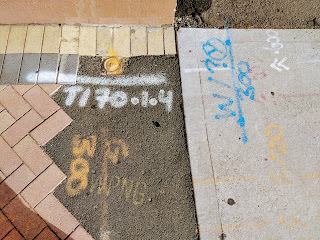 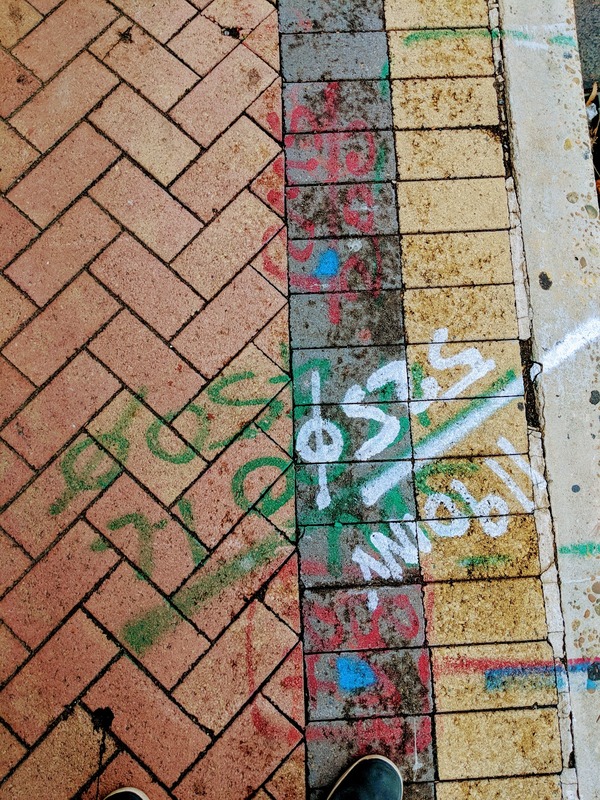 Spraypainted lines on the footpath and the road act as urban leylines. 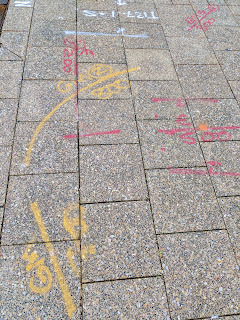 They point the way to water, energy, concealed gas or effluent; to danger and utility. 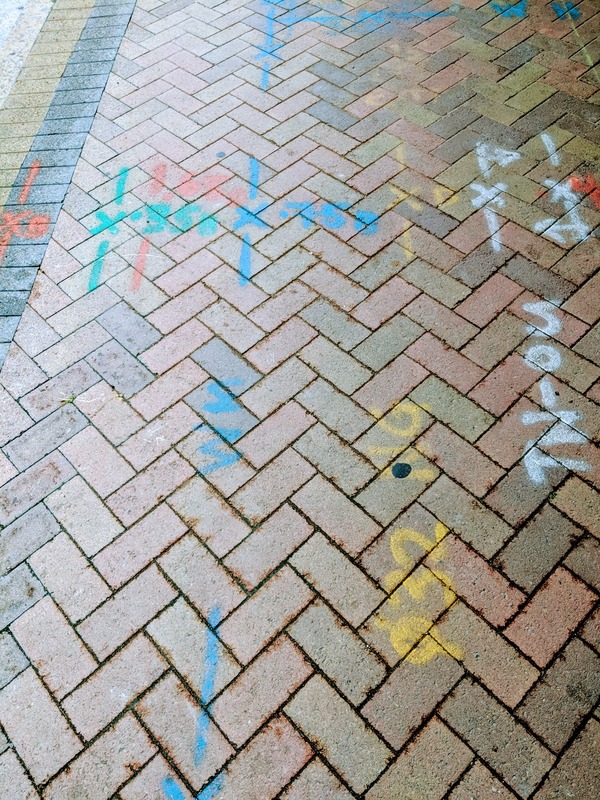 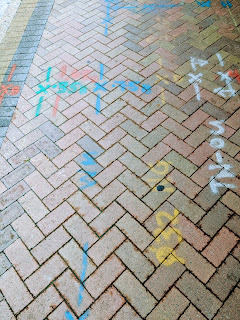 To the uninitiated they draw out an unfamiliar language on the everyday that only indicates that the path on which you walk is about be dug up and you will have to cross the road or walk over a garish obstacle masquerading as a footbridge, navigating patronising marshalling equipment as you go. To those that know the city's vital systems are mapped out as veins and arteries, viscera and vessels carrying lymph, bile, vital essences, and transmitting messages from neurone to neurone; an anatomical map painted on the skin of the town.